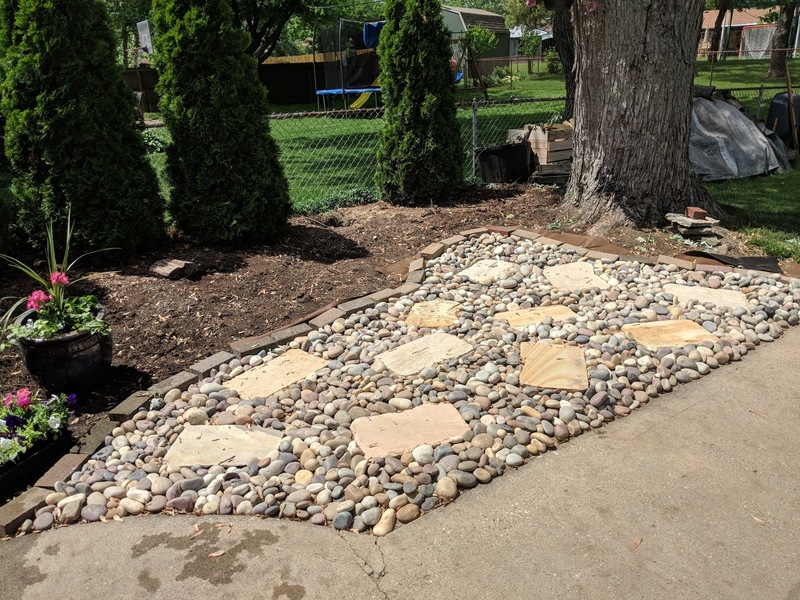 Transformed an area where nothing would grow well into a decorative rock garden. Replaced 700 pounds of dirt, sod and roots with at least 1,000 pounds of Imperial River Rock, flat stones and paver sand laying on top of a couple sheets of landscape fabric to prevent weeds. We can still "rock" it in our 60's! nice ..........but can you 'roll' ?